A school is the first organization that a child enters so it can be considered the first step into society. One can even say that a school is a microcosm of its society. As such, it reflects the diversity of the society surrounding us. The USA is probably the most culturally diverse country in the world. However, there are still a lot of issues in the teaching methods which are not fully adapted to dealing with cultural diversity. 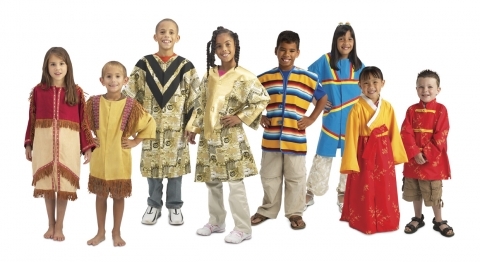 Today we are going to talk about how we should approach cultural diversity in education. America takes great pride in being a free society which does not judge anyone no matter where they come from. However, some people put so much emphasis on showing that they accept minorities that they eventually end up creating ethnic boundaries. As a teacher it is very important to get to know your students and to teach them to communicate with each other. This should be done at the beginning of the school year when the ground is neutral and they all feel equal. As a teacher it is your duty to initiate the conversation and if you have cultural diversity in your background share it with pride in order to encourage the children to do the same. When trying to explore cultural diversity in education you must bring into discussion subjects such as Who am I?, Who are you? What’s your story? And so on. Try to create connections, identity pride and focus on increasing knowledge of self and others. As a teacher, if you are dealing with students who studied abroad it is important to understand the teaching system that they were used to. Try to find out what expectation the children and the parents have regarding the educational system. You can make small adjustments in order to make the foreign students feel welcomed. However, make sure that the adjustments are subtle and they don’t put the foreign students under the spotlight. The last thing you want is to draw unnecessary attention to a child who is already having a hard time adjusting. Stereotypes and labels are the biggest enemy of a healthy social life. Despite creating a healthy and safe environment in the classroom, a teacher can encounter unpleasant stereotype jokes and ethnic tensions between the students. These tensions are often created due to the way that certain children were raised. Unlike adults, children can’t understand the difference between jokes and real situations so if you are dealing with ethnic tensions the best thing to do is talk to the parents in order to see what could have cause the stereotype jokes or the ethnic tensions. These are the main things that a teacher needs to focus on in order to build a safe environment where diversity in education can be a natural thing. A safe environment is the most important thing that a teacher must focus on. If the children feel safe at school and in the classroom they will eventually leave their shell in order to take part in the social activities of the school microcosm.